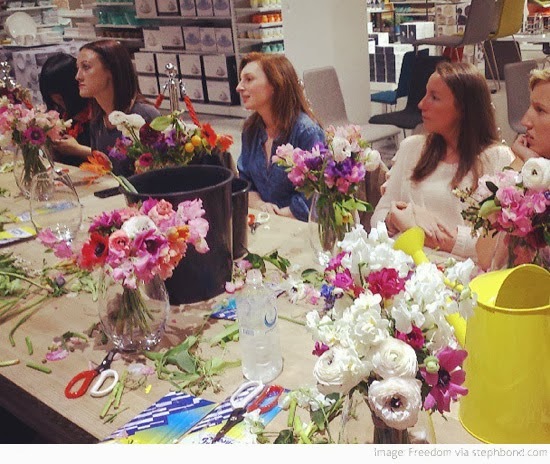 Two Saturdays ago I headed to a flower arranging workshop at Freedom to relax and play with flowers! What an absolute treat. 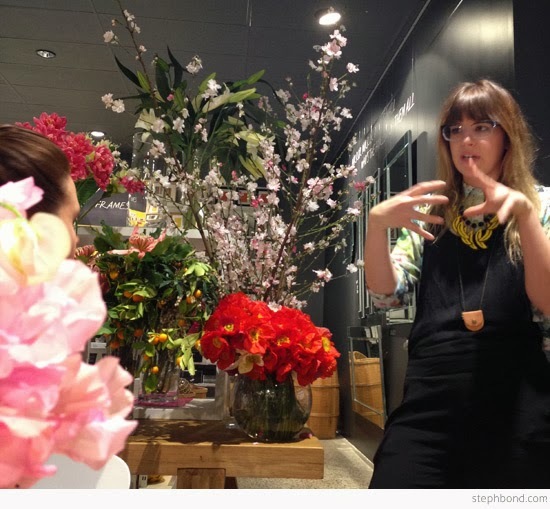 About 15 of us listened intently to the famed Holly Hipwell of The Flowerdrum, as she took us through the basics of flower arranging. 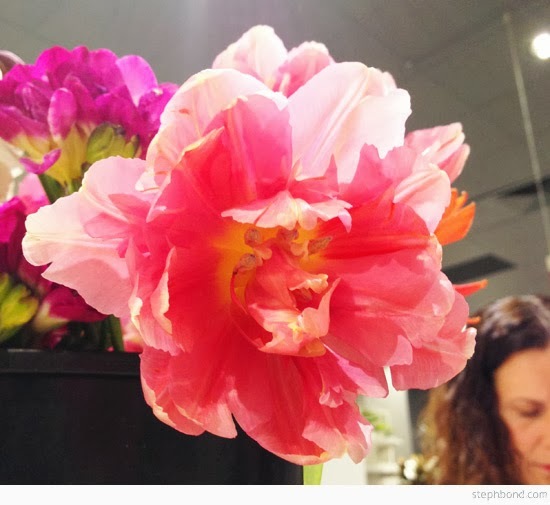 How gorgeous are these blooms! My tulips were extra-long so I went for a bit of a relaxed look, rather than cutting the stems. Tulips would love it here. Great neck support! The tulips would make their own clusters overnight. Try Fleur Bulb Vase. As the name suggests, a beautiful bunch of roses with their heads all clustered closely would suit this bowl vase. Try Fleur Rose Bowl. If you receive a mixed arrangement as a gift, pop it straight into a flared vase, it's perfect for keeping your arrangements in place! Try Fleur Flared Vase. This vase style is good for flowers that gave big heads. A big bunch of oriental lilies would look great. This shape allows the stems to naturally flare out from the base and give the blooms plenty of space up the top! Try Fleur Tapered Vase. These vases are great as they are the most sturdy. If you have picked up some heavy shapely stems or branches, this vase can keep everything secure by using the corners! Try Fleur Tank Vase. 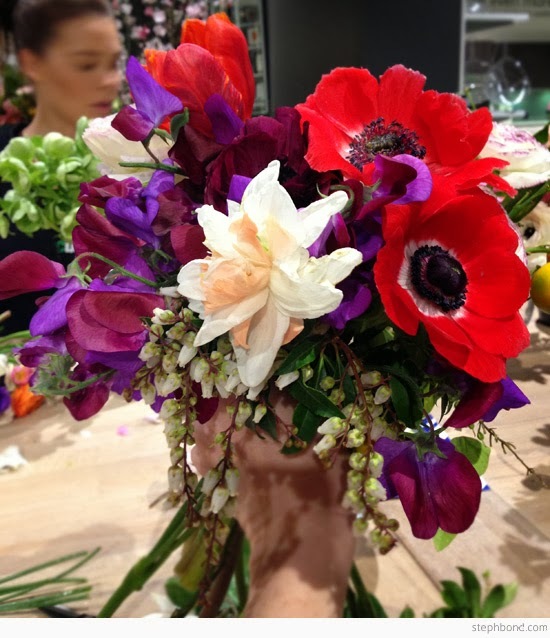 This style is a lot of fun, looks great with a big bunch of jonquils, or a mixed arrangement of delicate sweet peas and ranunculus. 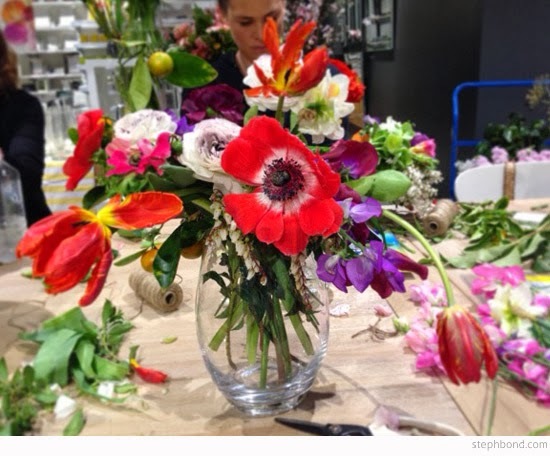 You can put just about any flower in this vase and it will look fab! Try Cape Vase. 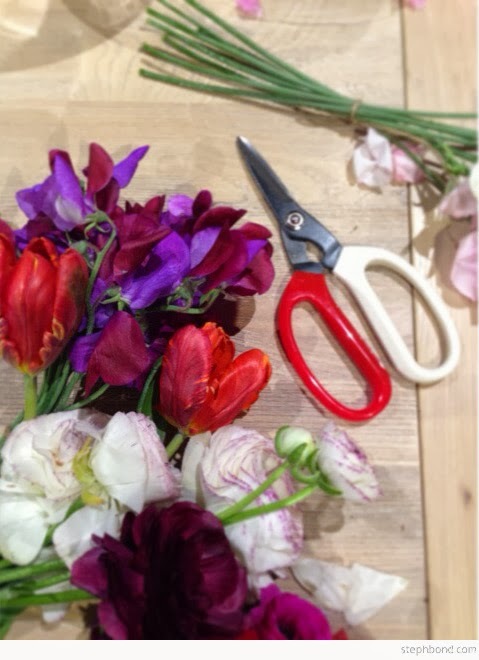 We took home our own pruning scissors, vase filled with our amazing creations, and huge smiles on our faces. 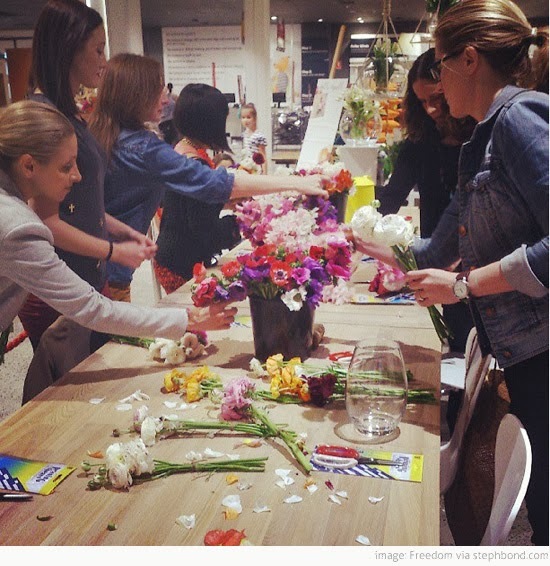 Now totally inspired to fill my home with flowers.